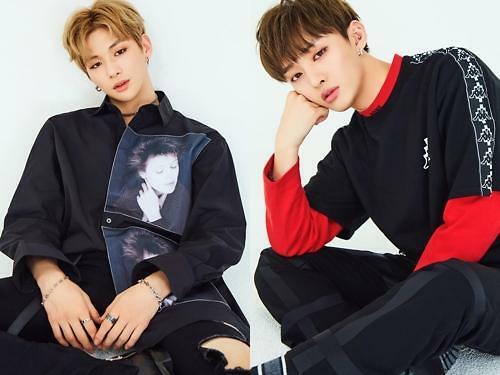 SEOUL -- Kang Daniel and Yoon Ji-sung of Wanna One, a defunct K-pop project band, joined a new agency after their contract with MMO Entertainment expired this week. LM Entertainment, a Seoul-based new entertainment agency, said in a statement Thursday that it would manage Kang and Yoon from February 1 and support their solo activities. Wanna One, which consisted of 11 survivors of a cable TV music audition show, had been active for 16 months and held its farewell concert on January 27. Before starting his mandatory military service in a few months, Yoon plans to release a solo album and play the role of a presidential bodyguard in "The Days", a popular musical. Kang has not disclosed details on his solo career.